how did you change the colors ? 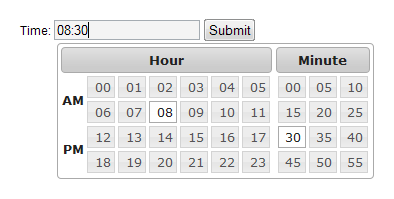 The colors of the timepicker are taken from jQuery UI theme. So the colors will be same as jQuery UI theme which you will include.